Roll Forming Services provides custom tailored, roll forming related design, tooling and equipment supply, training and troubleshooting. Welcome to our new look website! Please feel free to browse around the site and learn more about what services we offer and about us. If you have any questions or feedback about our site, who we are or what we do, then feel free to contact us. With over 40 years combined experience in the rollforming industry, Roll Forming Services can easily solve all your rollforming related issues, regardless of where the equipment is from. No problem is too big or too small. If you have an urgent problem then why not send us an email now. We also offer a wide range of product and process evaluation services from productivity/technology improvements to reviews of product design and drawing practices. Check our services page for more detailed information. Every roll set is computer designed as part of a complete system. We use the highest quality tool steel and vacuum heat treat it for a longer tool life. Each set of tools is inspected to ensure the highest quality standards. You can find more information on our tooling page. 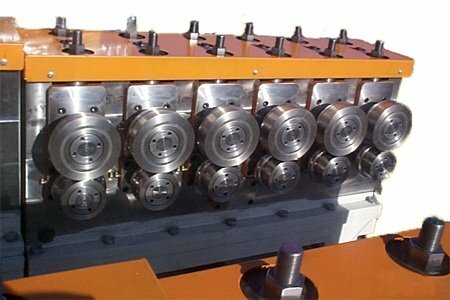 Roll Forming Services can supply the most cost effective and/or most sophisticated equipment for you. From Dedicated lines to quick changeover production systems, complete with all of the latest features, including custom electronics, servo drives, in-line secondary processes, in-line welding, louvering, embossing, rotary piercing and rotary punching. For more details you can view our equipment page. 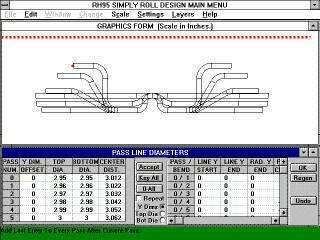 Start designing rolls immediately with our software "SIMPLY Roll Design" by Roll Forming Services. Practically no learning curve required. To learn more about "SIMPLY Roll Design", check out our software page. Roll Forming Services current brochure.